When is the best time of the year to install landscaping? 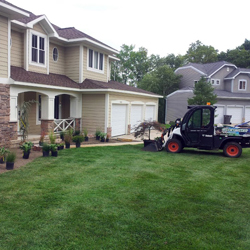 If you are installing landscaping in Grand Rapids, MI, the best time of year for landscape installation is early spring. However, landscaping can be installed most of the spring, summer and fall, as weather allows. Even in the summer heat, with proper watering and care, landscape installation can be successful. Contact us to set up a free consultation with one of our qualified landscape contractors to discuss your needs. Will updated and new landscaping increase the value of my home? Whether it’s your home or business, curb appeal is a big factor when it comes time to sell. The view from the street or an online image on a real estate website is the first impression of what a potential buyer sees and you want to make sure that first impression is a great one. People usually associate the inside with what they see on the outside and help them go to the next step to see the inside of your home. A great first impression and curb appeal can be achieved with a beautifully designed and maintained yard. Gorgeous landscaping will make your property stand out, give and make people want to take another look. Contact our landscape design team for a free consultation. In landscape or garden design, hardscape refers to the hard or solid areas in the outdoor spaces like retaining walls, patios, etc. These “hard” areas may be made of materials like flagstone, stone, concrete, wood, pea gravel, rocks, pebbles, etc. Examples of some hardscape landscape projects include patios, decks, verandas, arbors, retaining walls, fire pits, terraces, porches, courtyards, fountains, ponds, pools, hot tubs, etc. If you want the most professional looking results you can achieve, it's usually best to hire a professional landscape contractor. When it comes to landscaping, there are a lot of different scenarios that most people just aren't aware of or knowledgeable about that can really make or break your landscape. A professional landscaping contractor has the expertise on what species and varieties of plants will best suit your particular landscape. Using our professional landscaping expertise can help save you time, money and headaches from doing it incorrectly yourself. 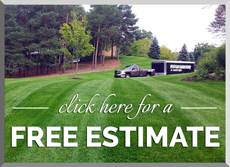 Contact us for a free Grand Rapids landscaping estimate here or call us today!